I can truly appreciate the beautiful moments, when I open up to them. 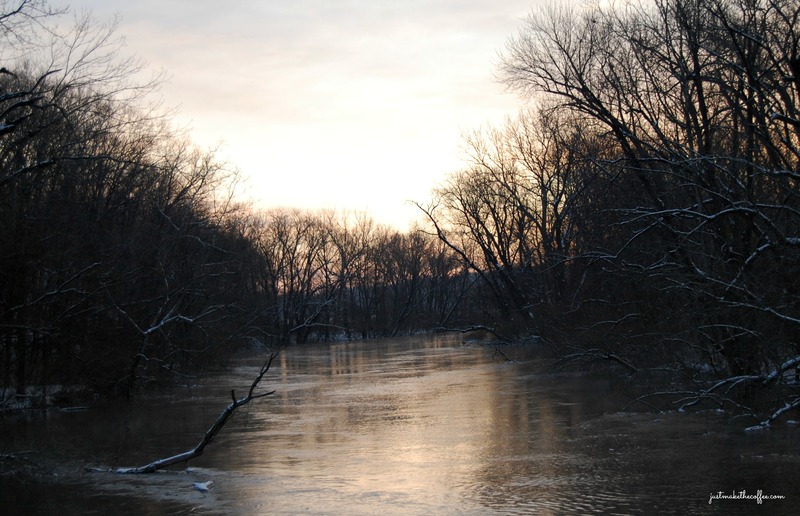 Winter will flow on and give way to spring. Now, is the time to rest and wait. 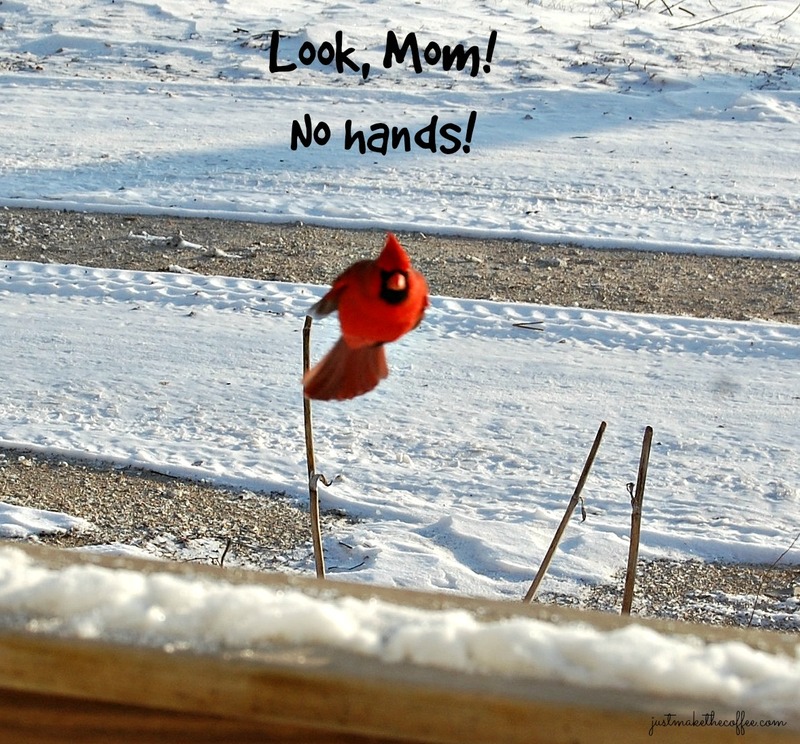 Not letting winter ruffle our feathers. Much. Just observing the beauty outside the front porch. 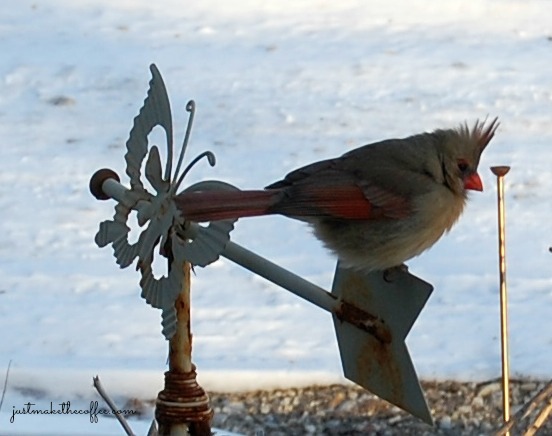 Laughing as the cardinal contemplates his shadow! Going for a drive and getting excited about spotting a herd of deer. Being thankful Illinois missed Winter Storm Jonas, the East Coast Blizzard. 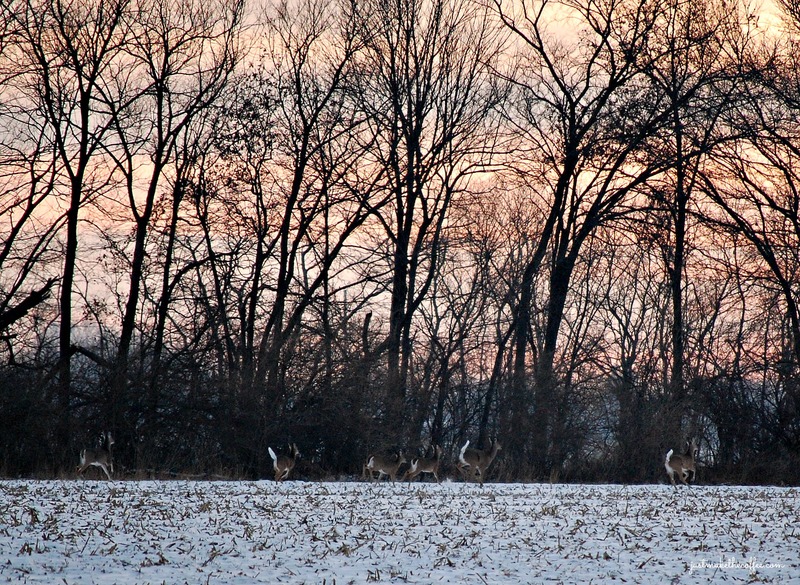 This entry was posted in Uncategorized and tagged Cardinals, Illinois, Kaskaskia River, White-tailed Deer, winter. Bookmark the permalink. 20 Responses to Letting Nature do her thing. Love the photos – as usual! 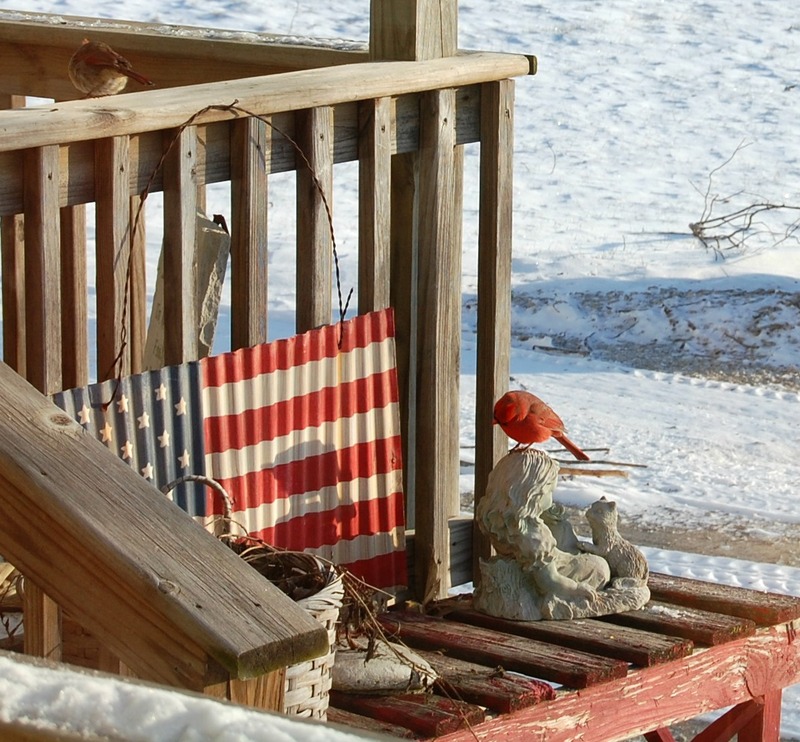 The old wagon (with the country wreath), the female cardinal with the icicle, the ruffled feathers… and we’re thankful that the worst of Jonas missed us here in southeast VA too! Glad to hear you are doing well, Dianna!! Thank you for your kind comments. Thank you, Greg. I thought you might like those deer! Cardinals are my favorite bird. Love the one with his shadow. We had a crazy blue bird one year who would see his reflection in our bedroom window and attach himself. He was nuts! I was waiting and watching for the cardinal to start attacking. It was funny to watch him “play” with his shadow. I understand your sentiments perfectly well! I made several of the barbed wire wreaths. 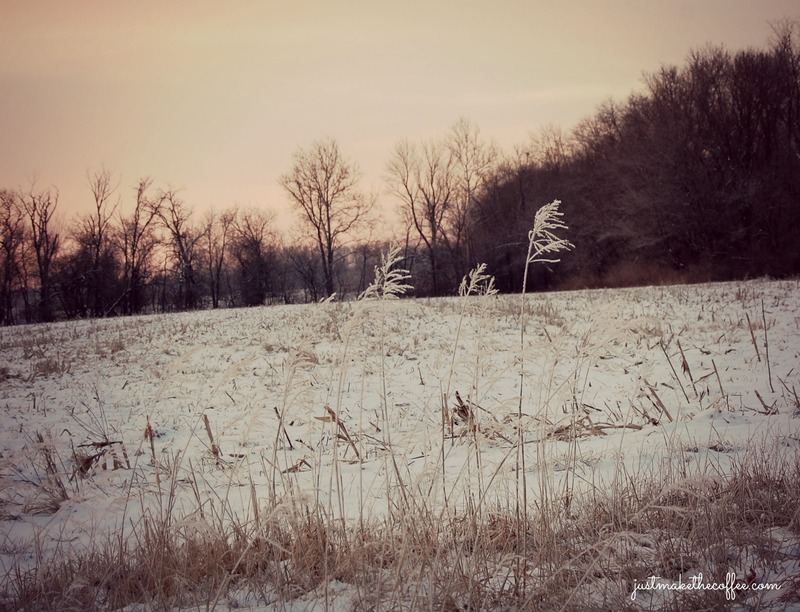 There is something I love about barbed wire…the stories it could tell? The aged strength? Not sure. 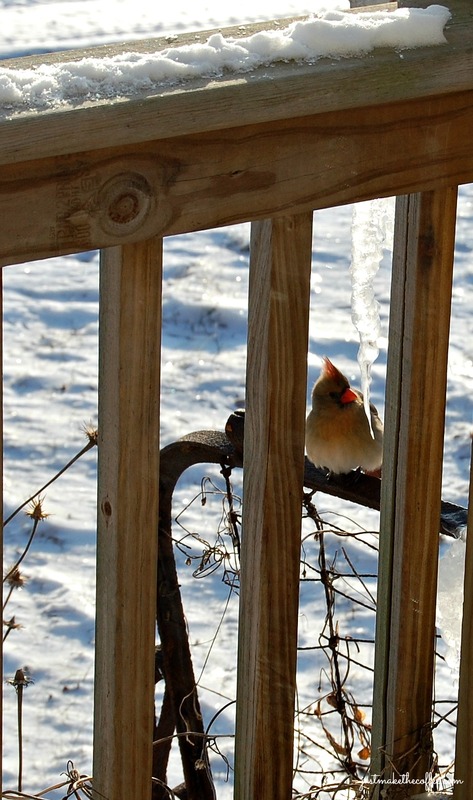 Marla, your photos are all lovely this morning, but my favorite was the Cardinal contemplating his shadow! What fun! Yes, being equipped with the right clothing, shoes, transportation, etc. makes a world of difference. Thank you for checking in! Glad you enjoyed. 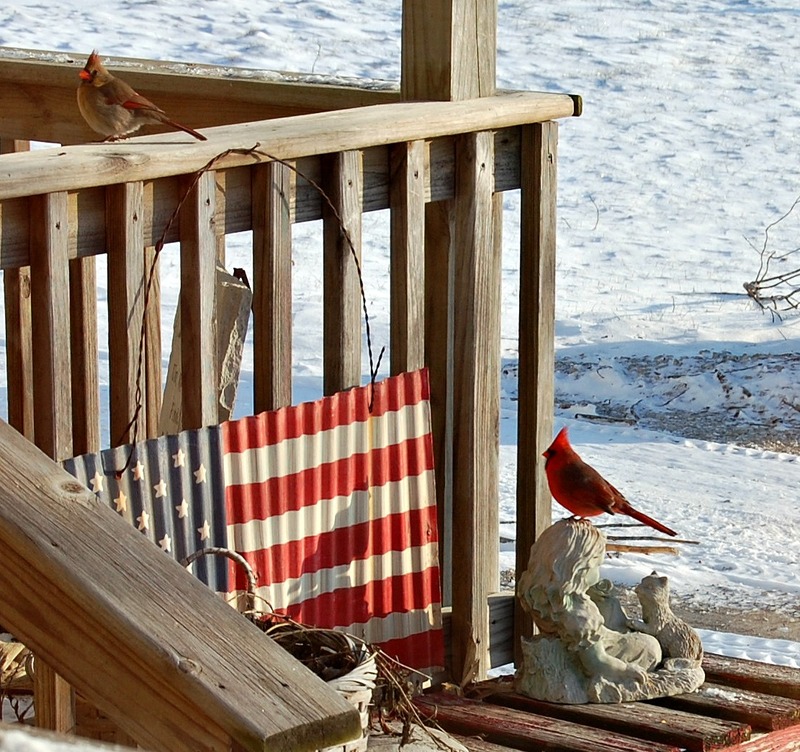 The first photo of the pair of Cardinals with the flag is gorgeous! Thank you! I caught them through my front window. They love the Indian corn that I keep around for their winter eating. Marla- I like the way you often match your text to the photos. 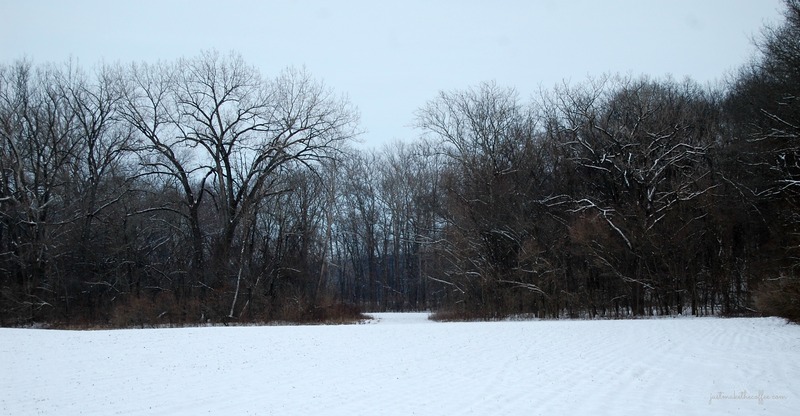 Lovely winter pics! That Cardinal is so handsome .. Thanks! I’ve learned to appreciate that winter can sometimes provide beautiful artwork. January is the hardest month for me in the whole year. I struggle to get through each day…but, low and behold, we are nearing the in. 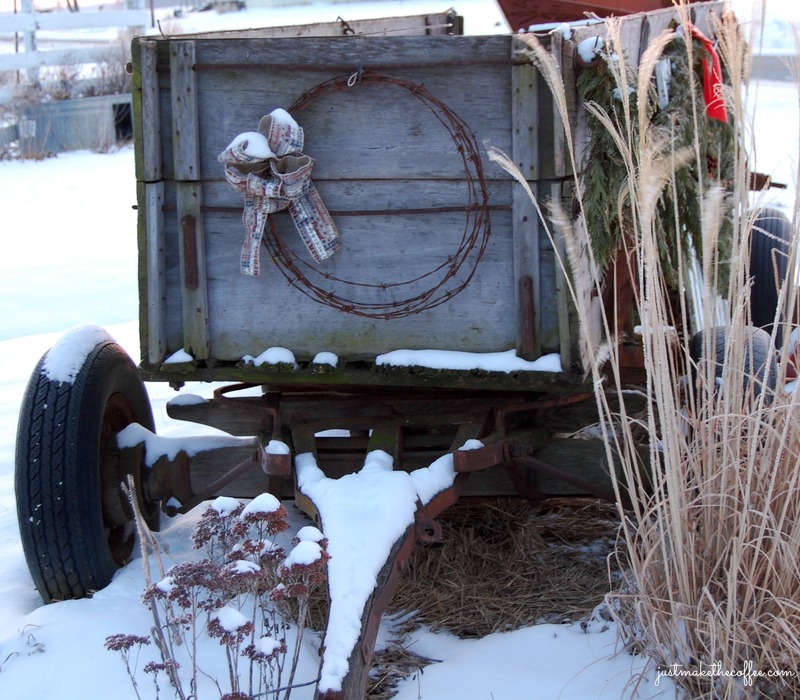 I can handle the reprieve of January … it’s the months when we are oh-so-close-to-spring-but-not-quite-there that make me antsy as a jitter-bug.